SEYMOUR JOHNSON AIR FORCE BASE, N.C. – “This air show and open house will be one of the largest and most thrilling events North Carolina will experience in 2015,” says Colonel Mark Slocum, 4th Fighter Wing Commander, extending a public invitation to the Wings Over Wayne Air Show in Goldsboro, May 16 and 17. Admission to the air show and ground displays is free. 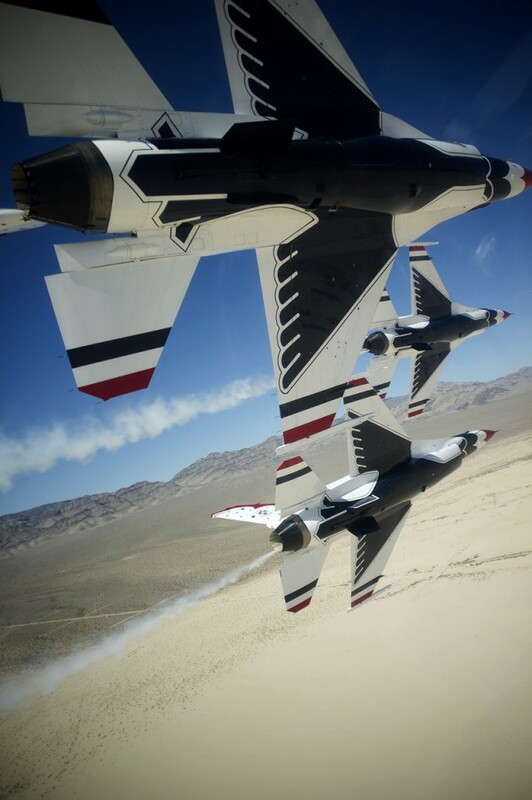 Headlining the show is the tightly choreographed ground and air demonstration of the U.S. Air Force Thunderbirds. Flying only a few feet from wingtip to wingtip, the six-member F-16 Thunderbird squadron will exhibit the precision and capability of U.S. Air Force pilots. “Seymour Johnson has attracted an incredible array of aircraft and skilled pilots,” says Lt. Colonel James Ladd, Air Show Director and F-15E Strike Eagle pilot. “North Carolina will truly feature one of the world’s best air shows of 2015.” The last air show at Seymour Johnson in 2011 attracted over 175,000 visitors. 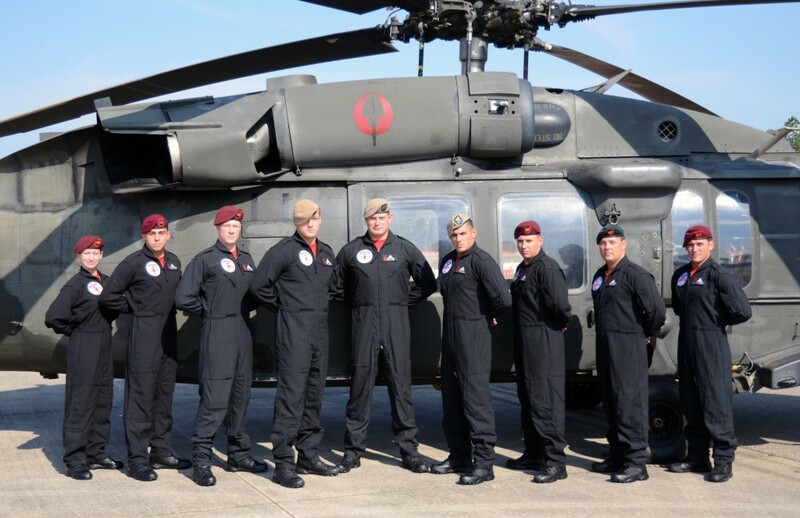 Seymour Johnson’s F-15E Strike Eagles will lead a combined arms demonstration package including the F-16 Fighting Falcon, A-10 Thunderbolt, and HH-60 Pave Hawk, joined by the Black Daggers U.S. Army Special Operations Parachute Team from Fort Bragg. The Wings Over Wayne family-friendly weekend includes a Kids’ Zone, filling the largest aircraft hangar on the base. A $5 admission charge covers access to more than 15 attractions for the entire day, among them the 12-passenger Motion Simulator Ride, the Flex Flying Bungee Trampoline, Water Wars, Euro Balls, Bouncers and Slides, and Mobile Mountain. Other aerial and ground exhibitions include the F-35A Lightning II; F-22 Raptor; C-17 Globemaster; C-5A Galaxy; E-3 Sentry AWACS; F/A 18 E/F Super Hornet; KC-135 Stratotanker; T-38 Talon; T-6A Texan; T-1A Jayhawk; CV-22 Osprey; AH-64 Apache; Seymour Johnson’s K-9 Security Force; The USAF Honor Guard Drill Team; Tora! Tora! Tora!, a re-creation of the attack on Pearl Harbor; the Indy Boys Jet School Bus with ground speeds exceeding 350 mph; Quick Silver P-51D Mustang; P-80 Shooting Star Acemaker; Matt Younkin’s Twin Beech 18; Jack Knutson’s Firebird Xtremes – EXTRA 300S; Kevin Coleman’s EXTRA 300SHP; Jacquie B’s EXTRA 300; Gene Soucy’s Grumman Biplane; Bill Stein’s Zivko Edge 540; Precision Exotics’ Lamborghini Gallardo vs. Ferrari F430; Andy ‘The Magic Man’ Segal; USO of North Carolina; NC State Highway Patrol’s Bell 407 Jet Ranger; Civil Air Patrol; Wayne County’s ‘Raven’ Helicopter; and the RV4 and RV-8/8A. 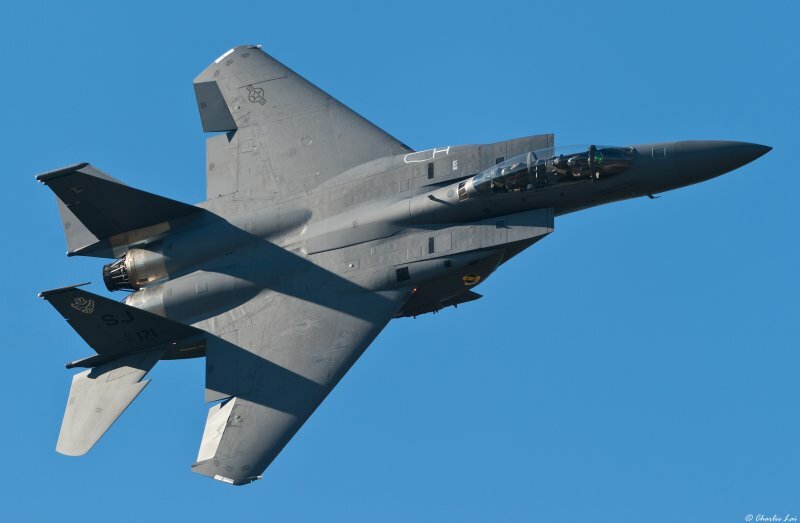 Seymour Johnson Air Force Base is home to the 4th Fighter Wing, which consists of 7,000 people and 95 multi-role F-15E Strike Eagles. Formerly commanded by Chuck Yeager, the 4th Fighter Wing is one of the largest wings in the United States Air Force, and has a highly decorated history spanning seven decades.
. The gates will open at 8 a.m. and close at 6:30 p.m. each day. Admission and parking are free. Day passes for the Kids’ Zone are $5. Seymour Johnson is located in Goldsboro, North Carolina. Food and beverages will be available on site. Air boss for the day: George Cline’s Air Boss, Inc. Announcer: Matt Jolley of Warbird Radio LIVE.